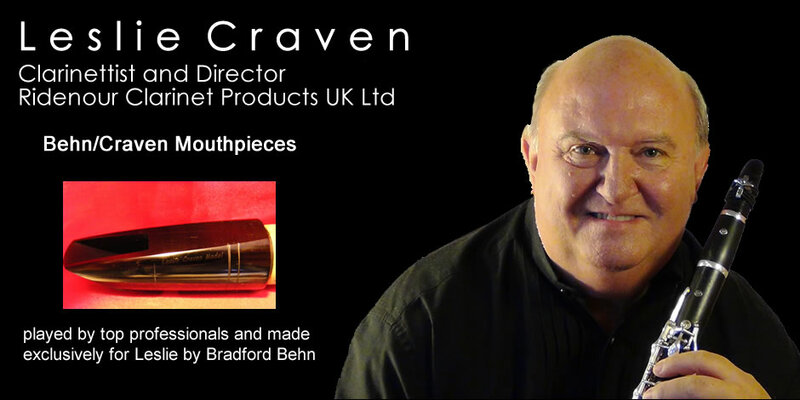 This Site is the home of Leslie Craven clarinettist and RIDENOUR CLARINET PRODUCTS UK LTD (RCP UK LTD) please visit the page and also store and find out about the great hard natural rubber clarinets that are helping to reduce the deforestation of hardwood resources. I hope you find the site easy to navigate. 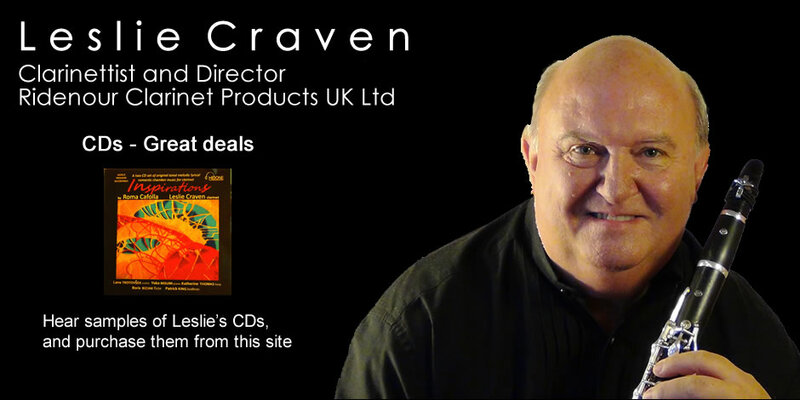 There are lots of free resources on this site – help for embouchure formation etc and interesting and informative articles in Resources and articles drop down box: My own personal clarinet related products (Leslie ‘s products) my CDs and self help teaching book (PDF) “Instant help for playing and teaching The Clarinet” plus Ridenour accessories are available to click and buy in the “store” page. 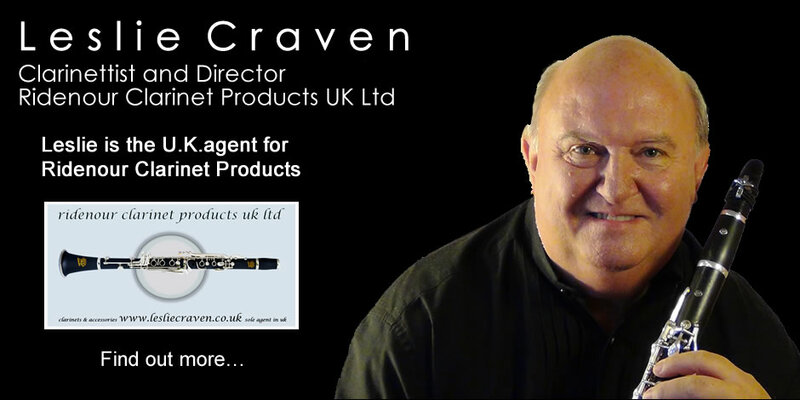 I also run courses – see Leslie’s Clarinet Courses where you can book a weekend or group of weekdays to have either a one to one course designed to improve your playing and have a very rewarding individual course with all my attention or a course designed for up to 4 players in a group. 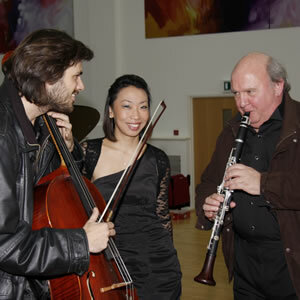 See Leslie’s Clarinet Courses for more info. If you want some free advice – I always reply personally there are no sales people or assistants – you get my direct help. Thanks for visiting – do visit again.